Children mock what they see and hear. I babysit a precious wide-eyed, curly-headed 15 month old. Yesterday he kept saying the words shut up. I don't allow those words in my house and I know his mother and know she doesn't like those words either. So I was a little lost as to why he was saying it. While I was relaying this to his mom, my son piped up and said, oh I say that to the dogs when they start barking sometimes. Makes sense since the little one kept saying it to the dogs. My 13 year old son got a big lesson in watching his words, and I got a big lesson in paying closer attention to what my teens are saying since I haven't caught on that they were doing this. Since our kids, even the little ones, mock what they see and hear, why not let them see and hear Jesus? Why not let them hear praise music floating throughout the house and hear mommy saying things like thank you God for providing and Jesus be with us today? Why not let them see mommy reading the Bible and praying? Why not read the Bible and pray with them? This Sunday my month old nephew was dedicated to God at our church. My brother-in-law, while leading the dedication, said that if his son is going to imitate him, then he wants to imitate God. Such wise words. 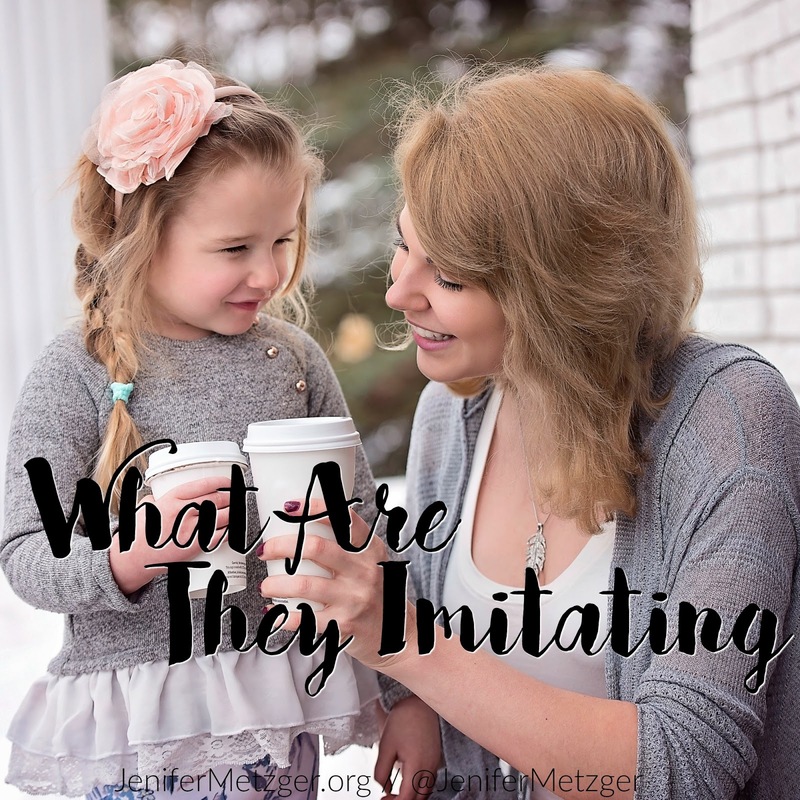 So let me ask you today, what are your children imitating? Are they imitating God through you or are the imitating the world through you? 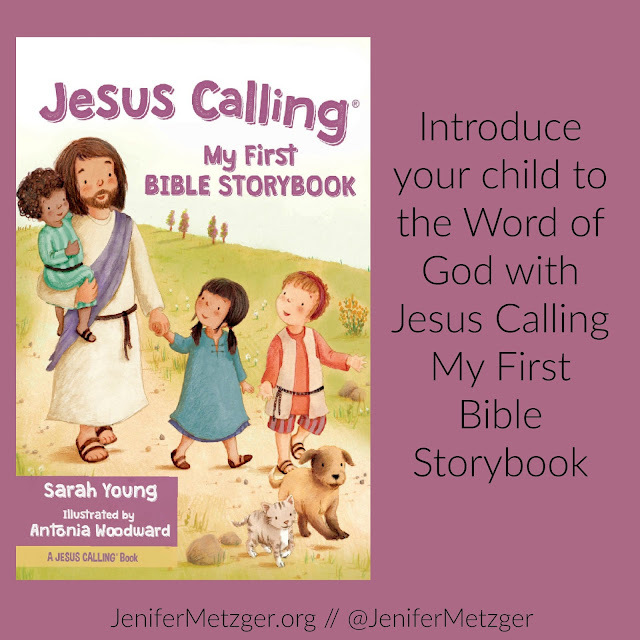 Jesus Calling My First Bible Storybook is a great devotional tool for your little one. With Bible stories and adorable drawings, this Bible storybook will help you introduce your child to the Word of God. Author Sarah Young has written numerous Jesus Calling devotionals that inspire, challenge and bless you each day. Each one from her own quiet time with the Lord. To enter to win Jesus Calling My First Bible Storybook, complete each task in the rafflecopter below. My daughter loves the story of Noah! Nick likes Noah's Ark, Isaac likes Jonah and the whale. Ethan didn't really say.. Lol.